Sepia-toned image of a cross-gabled, Queen Anne-style house with two outbuildings and a large barn. The house has two dormer windows, one of which extends into a balcony over a large front window. A porch wraps around the front of the house. A decorative fence runs along the front edge of the yard, next to a fenced lane leading back to the barn and outbuildings. 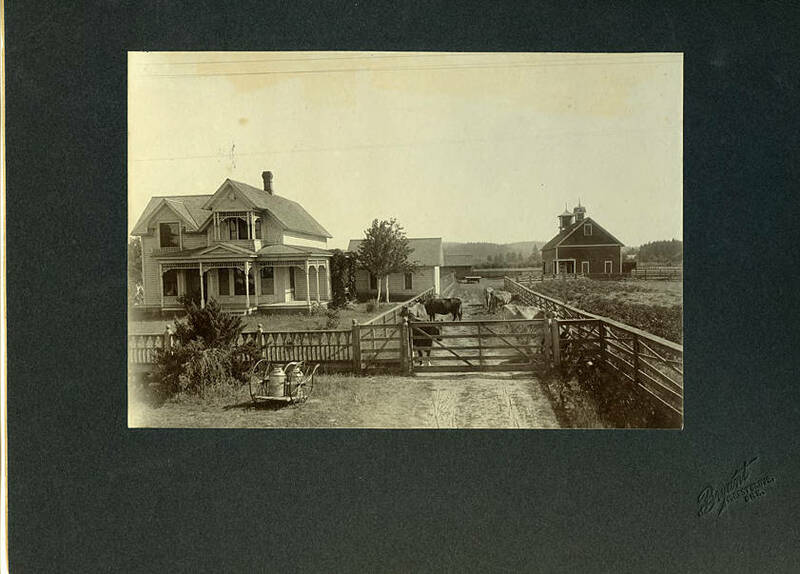 Several cows stand in the lane, and a small cart with two milk cans on it stands in front of the fence. 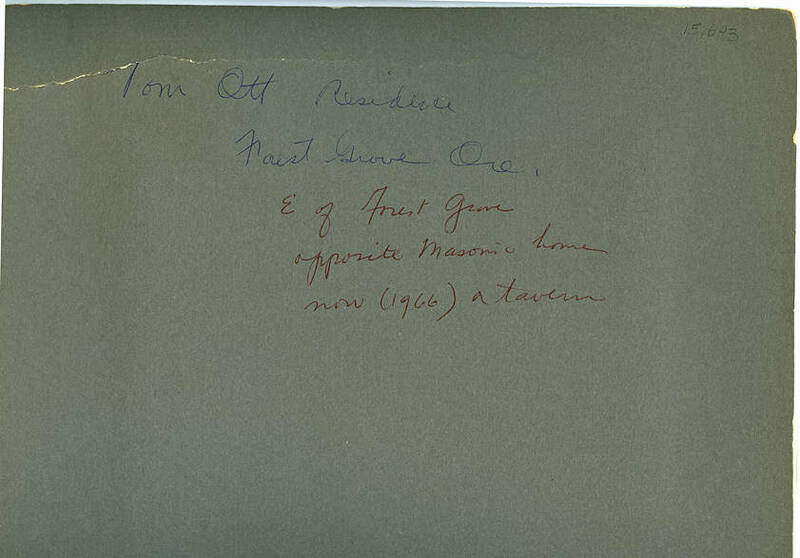 [front] [imprint] Bryant, Forest Grove, Ore. [back] [pen] Tom Ott Residence, Forest Grove, Ore. E. of Forest Grove, opposite Masonic home, now (1966) a tavern.